THE Swiss-based Bell Group is expanding its presence in Spain. 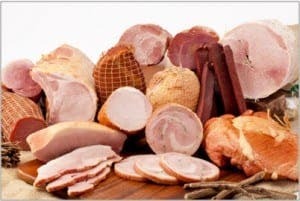 It has bought out cold cooked meats specialist Nobleza Iberica and contributed around €40m towards a new Serrano ham facility near Madrid which will offer 100 new jobs. Nobleza Iberica has an annual production capacity of some 150,000 hams and 1,000 tonnes of charcuterie. It specialises in the production of high-quality Iberico ham, and offers ‘the ideal supplement to Bell’s current product range’, said a spokesperson for the group.